What Type of Mobility Device is Right for Me? A Delta tiller is a wrap-around style handle that minimizes strain on the hands and allows the wrists to rest on the handle. This type of tiller allows for both left or right handed operation. SpinLife recommends this type of handle if you have limited hand strength or dexterity. 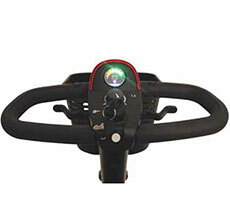 Straight handlebars have thumb levers that control forward motion. 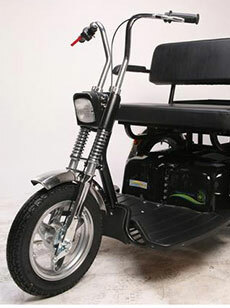 Sportster handlebars, much like that those on a motorcycle, are offered on a few scooter models and require more dexterity to operate. If you have poor dexterity or minimal arm strength, Delta tillers are ideal. 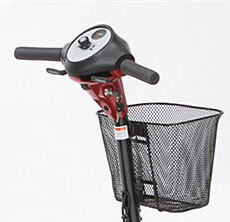 All scooters have adjustable tiller stems that allow the user to adjust the angle of the tiller for maximum comfort.